Dedication to providing excellence in dentistry and commitment to the community have been traits shared by the Alzeno family for over seventy years. Going back to 1920 when Dr. Guerney Edward Alzeno, Sr. began practicing in Stockton, we remember a dentist who was a leader in offering advanced dental techniques. Indeed, Dr. Alzeno, Sr. had the first x-ray equipment of any dentist or doctor in the area. He was continually sought out for his advice in the x-ray field by his colleagues in the dental and medical profession. While he was serving both patients and physicians professionally he spent considerable personal time serving his community. Dr. Alzeno, Sr. helped organize the Stockton Community Club, served as director of the village band and chorus, and supported various conservation programs. It was always the dream of Dr. Alzeno, Jr. to practice dentistry with his father, who's personal and professional goals he so keenly admired and embraced. 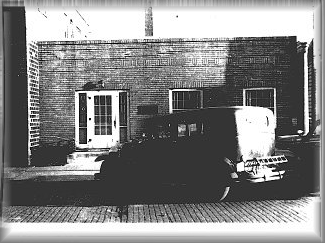 Anticipating this, in 1939 his father built a new two operatory bungalow office across the street at 120 West Front Avenue. Sadly, Dr. Alzeno, Sr. died in 1944 while his son was still in dental school at Northwestern University. Dr. Alzeno, Jr. reopened the practice upon his graduation in December of 1945. In 1947 an addition was added that provided four operatories and a total of ten rooms. Dr. Alzeno occupied the dental office until Dr. Stephen Petras purchased the building from him in 1987. In keeping with the same spirit that made the Alzeno family a dental institution in the Stockton community, Dr. Petras established a practice that seeks to provide technical excellence in dentistry and he has supported the community through the years with his work on the Chamber of Commerce, Kidstown, Lions club, Boy scouts, newspaper columns, School visits, office field trips and free dental clinics. The overwhelming growth of the practice necessitated another major renovation in 1997 and the building now houses six operatories and total of fifteen rooms.